Two music-industry publishing companies have released new books about PreSonus Studio One. Alfred Publishing has released its new volume, Teach Yourself Studio One Version 2.0, by David Terry. 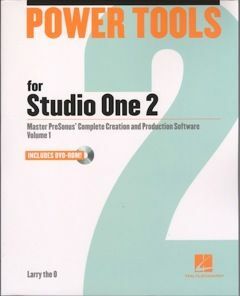 A followup on the company's earlier book about Studio One 1.x, this book is focused on getting you started and also serves as a refresher for those with some knowledge of the program. The book includes a DVD with more than 75 minutes of instructional video. It won Music Inc. magazine's "Best in Show" award at the 2012 Winter NAMM show. It lists for $19.95 and is available here.